Whether you’re hanging out with friends on the front porch, grilling in the backyard, or just relaxing on a cozy chair with a good book and all the windows thrown open to the warm breeze and birdsong, this weather calls for a glass of fresh rosé by your side. We’re stocked up with cases of the 2012 vintage of dry, pink wine from the classic French regions Bandol, Coteaux d’Aix-en-Provence, Côtes de Provence, Côtes du Rhône, Lirac, Tavel, Beaujolais, Marsannay, Chinon, Sancerre, and Côtes du Lot. With such a variety you’ll find everything from delicate wines redolent of flowers and early strawberries to meaty and herbal wines big enough to pair with the heartiest of grilled meats and even satisfy the most ardent red wine drinker. 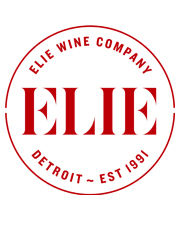 And at Elie Wine, you won’t find any close-outs of last year’s wine that has been languishing in warehouses. We’re a wine shop, why would we want to sell you mediocre wine? Give us a call to reserve your bottles, or stop by the shop and we can help you select some wine to take home. We’re offering 20% off the store price for a limited time.